Valley Central School District The mission of the Valley Central School community is to develop responsible and productive members of society by providing a quality, comprehensive educational program in a safe and innovative environment, where students are motivated to think critically, communicate effectively, and achieve excellence in active partnership with the community and a knowledgeable and dedicated staff. Orange County, NY Located just 40 miles from Manhattan, Orange County is one of the most attractive areas in the New York metropolitan area. Affordable housing, excellent school systems, a low crime rate, outstanding road, rail and air transportation, lack of congestion, and a wide range of recreational activities offer unique advantages for business and for living. 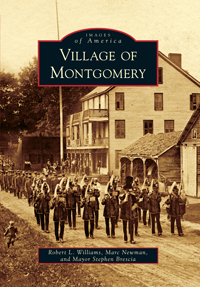 Ramapo Catskill Library System- Montgomery Free Library Montgomery Free Library , 133 Clinton St, Montgomery, New York, U.S.A.
Middletown Thrall Library Middletown Thrall Library presents one of the latest digitized texts in its ongoing Digital History Initiative. The author of this document has graciously granted Middletown Thrall Library permission to reproduce this work for the benefit of students, patrons, researchers, Middletown residents and our Internet visitors. Orange County Tourism Escape to Orange County and enjoy the abundant splendor of our natural resources. There's scenic rolling countryside, pristine lakes and 2 magnificent rivers. Take a cruise on the Hudson or raft the Delaware. In between the rivers you'll find a perfect setting for just about everything you enjoy, from spring horseback riding and summer golf to fall hikes and winter skiing. Cornell Cooperative Extension of Orange County Cornell Cooperative Extension works with New Yorkers to build strong and vibrant New York communities. In these uncertain times, our role is vitally important to communities and individuals. Living in Orange County NY This web site from Cornell Cooperative Extension of Orange County is the outcome of discussions among many agencies in the county that frequently receive calls for assistance. Its intent is to provide new residents with access to resources that can help answer their questions. New York State New Yorkers are rightfully proud of their state's many achievements and contributions. New York State Government Archives The New York State Archives is the official repository of New York State Government records having permanent legal and historical value. It has custody of legislative, judicial and executive agency records. US Chamber of Commerce The U.S. Chamber of Commerce helps state and local chambers better serve their members through a variety of services. Town of Montgomery Chamber of Commerce The Town of Montgomery Chamber of Commerce is a civic organization dedicated to serving local businesses. How Stuff Works Millions of people have described HowStuffWorks content as reliable, accurate and entertaining. Originally founded as a Web site for curious people, the award-winning company now offers clear and fascinating content through various media channels to millions of readers every month. D.A.R.E. America D.A.R.E. (Drug Abuse Resistance Education), the highly acclaimed program that gives kids the skills they need to avoid involvement in drugs, gangs, and violence. D.A.R.E. was founded in 1983 in Los Angeles and has proven so successful that it is now being implemented in nearly 80 percent of our nation's school districts and in more than 54 countries around the world. Kids Domain Kids Domain, a wholly owned subsidiary of Kaboose Inc., is a leading and critically acclaimed educational and entertainment online destination for kids, parents, grandparents, caregivers, educators and the PTA who are actively involved in the search for and use of child-safe Internet content. Orange-Ulster Boces Boards of Cooperative Educational Services (BOCES) were created in 1948 by the New York State Legislature. They were created as a partnership with local school districts and the State Education Department. As an intermediate unit, the BOCES serves both the needs of its component districts and the office of the Commissioner of Education at the State Education Department. GovEngine.com GovEngine.com is a non-profit organization dedicated to promoting e-Government initiatives and interconnectivity between the federal, state and local levels of government with the citizens of Our Great Nation. Times Herald Record Times Herald-Record, serving New York's Hudson Valley and the Catskills. Newsday Hudson Valley Get all the latest local news for the Hudson Valley with Newsday Westchester. Read top local stories, watch video, and find things to do in the Hudson Valley."